This basic kit includes brackets, hardware and installation instructions. You will need to source rotors, calipers and pads. 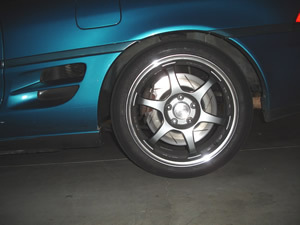 The Ultimate MR2 OEM Style Big Brake Solution for your high performance needs! - This kit is raced tested by 3 Time Redline Time Attack Class Champion Jeremy Croiset! - Uses OEM Front Mazda RX8 Sport Rotors on the back of your MR2 or WolfKatz Stage II.5 Aluminum Hats and Custom Directional Racing rotors built by WolfKatz. 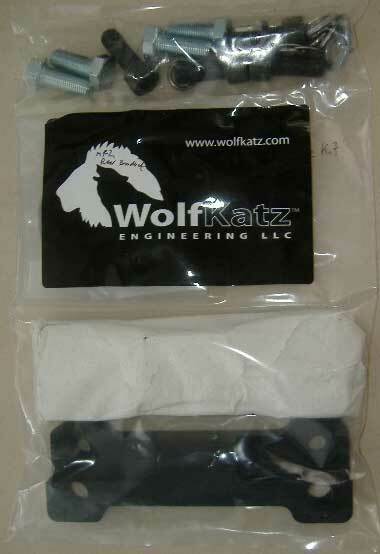 - Production Hats and Brackets are ANODIZED BLACK. Prototypes pictured on the car are are not coated. - Increased braking power and reduced fade go along with a modern look. - Rear rotors are 322 mm diameter, 24 mm thick. - Track tested in the most extreme conditions. - Stage II.5 - Full Racing Lightweight Rotors Available. Any kit can be upgraded to Stage II.5 rotors at any time. We can supply all of the parts needed to do this upgrade - be sure to check out our rebuilt calipers and pad options!